We promote the development of young people through the medium of sailing and other watersports. 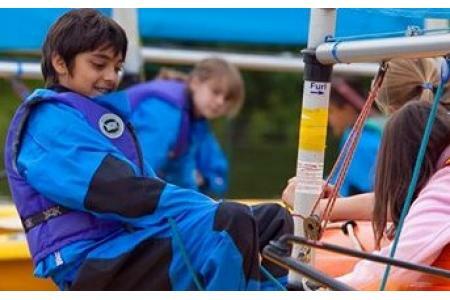 We provide sailing facilities, equipment and activities for young people, in an affordable, accessible and equal way. We are particularly proud of our support for those who are disadvantaged or disabled. Our charity is run entirely by a network of 200+ volunteers. More than half our volunteers are under the age of 18 and the experience they gain prepares them for their adult life. We are a community hub, open to all, and used by almost 8,000 local people each year. Young people acquire life skills and formal qualifications, giving them confidence and a CV that can position them favorably for moving to higher education or employment. Those who are diadvantaged or disabled gain the benefits often denied to them of participating in a rewarding activity on equal terms with others.